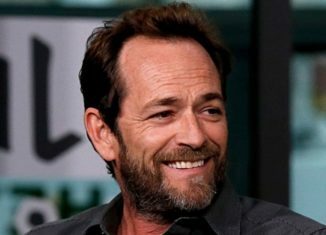 Luke Perry, the famed actor best known for his role as Dylan McKay on the hit show Beverly Hills 90210 passed away on March 4th, 2019. He was rushed to the hospital on February 27th after reports surfaced that he had suffered a massive stroke. He was 52. Luke Perry was born on October 11th, 1966 in Mansfield, Ohio. He got his big break in 1990 when he was cast as Dylan McKay, the troubled, yet loveable, “bad boy” of Beverly Hills 90210. With its clever storylines and attractive cast, the show instantly became a hit, and Perry became one of the most prominent teen heartthrobs of the early nineties. After several, very successful seasons, Perry left the show in 1995. He went on to star in numerous films, including Buffy the Vampire Slayer and 8 Seconds, while appearing in some smaller roles on TV for the next two decades. Perry rose to prominence again in 2017 with his role as Fred Andrews in the hit series Riverdale on the CW. The show is based on the famous “Archie” comics and depicts the characters in a mysterious teen drama instead of the usual comedic tone. He was a recurring, and beloved, character on the show until his death. After he died, people who knew him expressed their sadness through social media. In a published statement, Riverdale producers described him as “a father figure and mentor for the young cast” as well as one who was always “infusing the set with love and kindness.” Stars such as Lili Reinhart, who plays girl-next-door Betty Cooper on Riverdale, as well as members of the original Beverly Hills 90210 cast also took to social media to celebrate Perry’s life and mourn his passing. While each of these people honored him in their own way, all accounts describe him as a warm, loving man who liked giving hugs and sharing stories. His body was cremated and his ashes were scattered across a farm that he owned in Vanleer, Tennessee. He bought the farm and the farmhouse in 1995 and often spent time there when not working on film or television projects. There was also a private memorial service in his honor at Warner Brothers studios on April 13th. He reportedly left his children, Jack and Sophie, as the only heirs to his estate. In the crazy life that comes with Hollywood stardom, it is very easy to get caught up in the wrong of things. Luke Perry always found himself on the right side and left behind a legacy of one of the purest hearts and kindest souls that many were blessed to have known. Rest in peace to a wonderful man, a talented actor, and a loving father gone from this world way too soon.